Every child needs a healthy breakfast to start their day ready to learn, but many children arrive at school either without eating breakfast or only having eaten a sugary snack. Before classes even start these children are at a disadvantage. 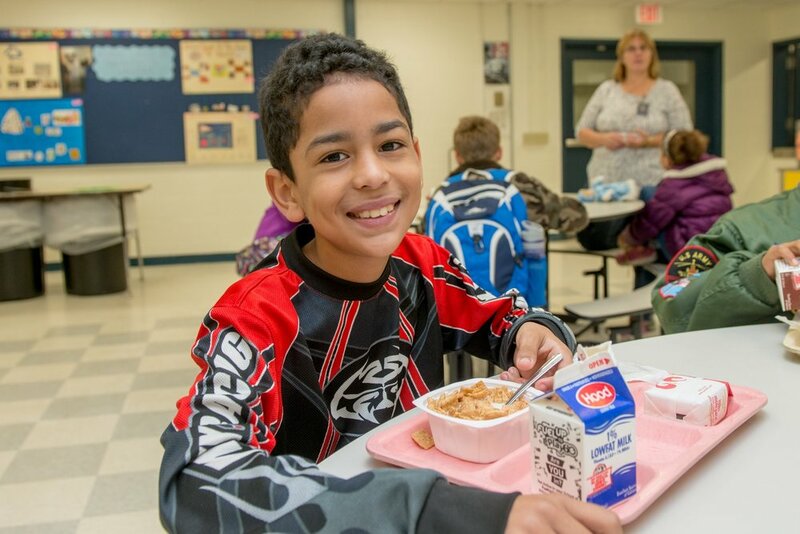 The School Breakfast Program (SBP), by providing students with a nutritious meal, has been shown to improve academic performance and health. In addition, parents of all income levels appreciate the convenience and peace of mind knowing their children will receive a healthy breakfast at school. “Breakfast in the Classroom,” where food is delivered to the classroom for all students; and “Breakfast After First Period,” where breakfast is served to all students later in the morning. Please read this letter from the Vermont Secretary of Education stating that meals served in the classroom count as instructional time. The letter also points out some successful approaches that many schools have incorporated during this time. Some examples are a morning activity, announcements and other opportunities for studentengagement during breakfast in the classroom. Read "Increase Breakfast Participation: Alternatives to Traditional Breakfast"
Combining one or more Breakfast After the Bell models with a Universal Free School Breakfast Program, in which all students receive breakfast at no charge regardless of their family income, increases participation even more.